Florida has a stucco problem, and homeowners are paying the price. Residents throughout Florida are learning about potentially severe issues with the stucco installed in their homes. In the past few years, including homes built as far back as 2005, some home builders used substandard materials and poor installation practices in their home construction, resulting in long-term complications. A lack of supervision, poor training, and hurried jobs led to rushed stucco application which eventually caused cracking in the stucco of thousands of Florida homes. The improper stucco application allows water to enter through cracks, as well as the area around windows, seams, vents, and entryways. The cracking and leakage leads to water intrusion and mold causing extensive structural damage due to rotting wood frames, termites, and potentially harmful disease-carrying microbial buildup. Many homeowners have no idea the extent of the damage until it’s too late for easy, cost-effective repairs. Can I Make the Builder Repair my Home? There are a few construction companies that have voluntarily disclosed the stucco defects to homeowners and offered to repair damages. Many other builders are ignoring complaints and refusing to repair the home damage without legal intervention. Unfortunately for homeowners, you have a limited timeframe in which you can take these builders to court. There are possible legal avenues for homeowners who have suffered damage from defective stucco. However, there is no law requiring home builders to notify homeowners of the stucco defect. To complicate matters further, Florida’s statute of limitations on construction defects extends to a maximum of 10 years, which leaves you at risk due to the slow progress of the damage. The limited protections allotted homeowners mean you must act quickly and contact an attorney as soon as you notice a possible issue. 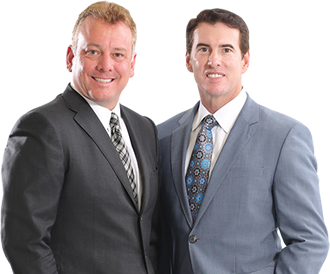 BCN Law Firm Attorneys have more than two decades of property insurance law experience and have successfully litigated thousands of sinkhole, roof damage and other property insurance cases throughout Florida, including fire claims, theft claims, arson, and hurricanes. A free consultation* with a knowledgeable BCN Law Firm attorney can help you identify potential methods of pursuing compensation or requiring repair of the damages to your property. If you own a home built by a builder with a history of stucco defects, you should speak with an experienced attorney immediately. Contact the BCN Law Firm serving The Villages® community and surrounding areas at (352) 775-4739 or online to learn how we can help.